The annual FLAsia Trade Exhibition showcases a wide range of top international franchises, brands, licences and proven business concepts from diverse industries. As a result, the event has become a major gateway for introducing new business concepts into Asia, as well as providing a launch pad for local and regional companies to expand beyond their own shores. Now in its seventh year, FLAsia will be introducing new and extensive segments, incorporating a wider spectrum of franchising and licensing related business support needs. Hot-Match Presentations – Learn detailed information directly from the exhibitors about the various franchise models or licence properties they are offering. eMatch – This free online business matching programme makes it even easier to book onsite appointments in advance with those exhibitors you wish to see at the exhibition. Educational Talks – These will help to broaden your knowledge and reveal the latest developments in the industry. Franchise Services & Business Support Zone – A dedicated area for franchisors, potential business owners, entrepreneurs, and prospecive franchise owners to swap business support ideas. Franchise & Retail Technology Zone – Here you will be able to discover the latest business solutions including card and radio-frequency identification (RFID) technology, franchise business software, point-of-sales solutions, and more. Conference – Running at the same time as the exhibition will be the FLAsia 2014 Conference and Workshop, where experts will provide a series of in-depth presentations. 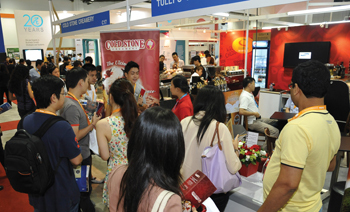 Whether you are a well-established entrepreneur or are completely new to the franchise industry, a visit to FLAsia 2012 will provide you with a solid foundation for global success in the industry.